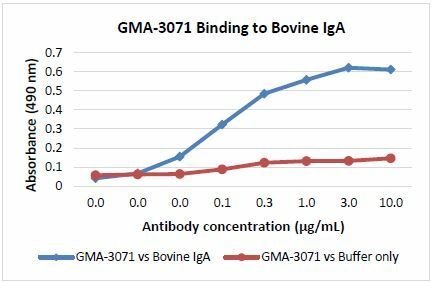 IgA is a 320 kDa antibody dimer secreted by plasma cells found in the mammary gland, intestine, respiratory tract and skin. At these surfaces IgA neutralizes viruses and protects against pathogen adherence to the body. Williams, D.J.L., Newson, J., Naessens, J., 1990. 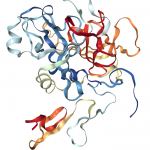 Vet Immunol Immunopathol 24: 267-283.